He shared these thoughts at a recent session of the Labor Café, where folks come together to talk about work and the politics of work. Heading into the annual Martin Luther King holiday, this particular gathering focused on MLK’s life, labor, and legacy. Several in the room argued that if King were alive today, he would likely be protesting the persecution of asylum seekers and the separation of families on our southern border. I think they’re probably right, and it got me thinking about the importance of music to the civil rights movement, from Billie Holiday’s “Strange Fruit” to Bob Dylan’s “Blowin’ in the Wind” to Sam Cooke’s “A Change is Gonna Come.” What shall be the soundtrack to this moment in the ongoing freedom struggle? 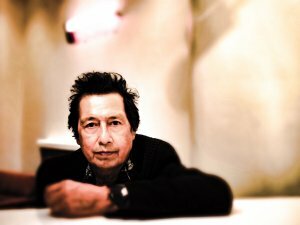 Surely it should include Alejandro Escovedo’s 2018 cover of the Joe Ely classic “Silver City,” a fable about an optimistic migrant searching for work and gradually awakening to the rude realization he is unwanted in a land of plenty and promise. Escovedo is a criminally underappreciated rocker who’s been toiling in relative obscurity for over thirty years. His newest album, The Crossing, teems with stunning stompers and beautiful ballads mostly penned by him (and his bandmates). So it seems a little odd — or even downright disrespectful — to choose a cover from the new LP as the Labor Song of the Month. But Escovedo’s version of Joe Ely’s “Silver City” is so beautiful, so haunting, and so perfectly-timed — I’m hard-pressed to find a song more poignant for our moment. Track thirteen on a concept album about immigrant punk rockers from Mexico and Italy confronting the full fire and fury of Trump’s America, “Silver City” is a bittersweet riposte to the fusillade of family separations, tear-gassing, and racism-by-tweet unleashed upon migrants and asylum seekers at the US-Mexican border by our current commander-in-chief. I honestly believed/That I would be received/With the golden key to the Silver City. But my first night on the town/Bandits knocked me down./They welcomed me to the Silver City. Must’ve been a freak mistake/I said as I did wake/In the gutter of the Silver City. With a throbbing head/I begged for my bread/Half-smiling as I bled in the Silver City. Oh, how can there ever be/Such misery in the streets?/How can it ever be in the Silver City? But soon enough I saw/How easy it was to fall/And not be seen at all in the Silver City. It’s fitting that alt-country crooner Ely sings harmony on rocker Escovedo’s cover, reminding us that the best music bends, blurs, and blows up boundaries, thereby exposing the arbitrary falsity of segregating songs and the people who play and purchase them into commercially viable, race-coded categories (rock, country, rhythm and blues, tejano, e.g.). Moreover, just like desperate people in search of work, the most exciting music insistently jumps the lines arbitrarily drawn on maps to divide nations. By synthesizing novel sounds, stories, and songs with familiar ones, border-crossing music has historically worked to heal the pain of homesickness, loneliness, and separation from loved ones while helping migrants forge new identities intertwined with the new melodies and rhythms born from new experiences. This was how the blues, country, and rock and roll were created in the 20th-century US — the musical fruits of working-class Americans’ engagement with the migration, increased pace, commodities, and alienation associated with the industrialized economy. 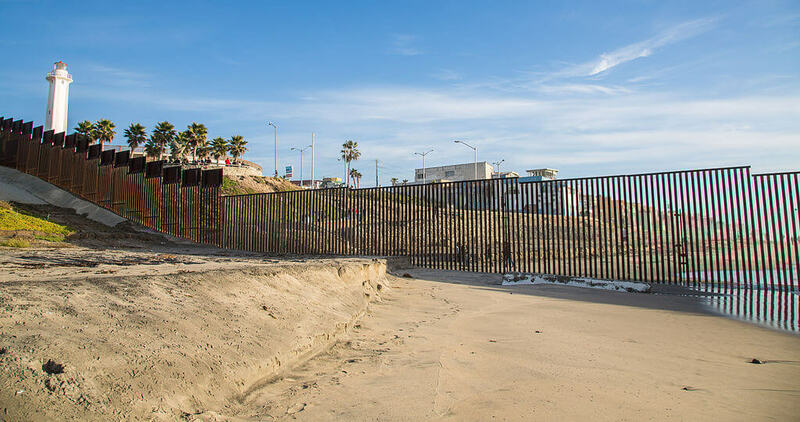 These, indeed, are the subjects of many of The Crossing’s tracks — the lure of economic opportunity, the seduction of new experiences, the longing for lost loved ones, and the danger of being different and undocumented in today’s USA. Sometimes the sentiment is wistful, as on “Waiting for Me,” when Escovedo sings, “So if you see her/Please tell her I blew her a kiss/It will be landing when the wind shifts.” At other times, as on “Fury and Fire,” the anger is palpable: “Whatever happened to the promise of a better life?/They wanna tear it down/They wanna tear it down.” Meanwhile, the music on the LP genre-hops, from Mexican and American folk to rock, and from twang to spoken-word poetry. Apple Music categorizes The Crossing as “Americana,” whatever that means — though I guess that’s the point. A native of Texas born to Mexican immigrants, Alejandro Escovedo is as American as Bruce Springsteen or Aretha Franklin — and, like them, he’s a national treasure — even if you wouldn’t know it from his near-invisible media presence (A recent New Yorker piece offers a nice introduction to his career and his new album.). “Silver City,” in fact all the songs from The Crossing, tell a most urgent American story, and do so in the most American way possible — with voice, guitar, bass, and drums. Give it a listen, and you just may join the caravan of the converted. “This is the America I wanna be!” to quote Escovedo (from “Sonica USA”). Amen!